Even though I'm on vacation I wanted you all to know how much I truly appreciate and love you all so I thought I'd host a little giveaway. I feel horribly bad I never did a giveaway with some of these items from my Lucky FABB gift bag sooner but I thought now was just as good. All you have to do is be a follower of beijosTiffany at Bloglovin, Twitter, or Google (in left hand side bar) and leave a comment with your email so I can contact you if you win. This giveaway will end Thursday, August 23 at 11:59pm EST and a winner will be chosen by random.org and announced the following day. And because I appreciate and love you all so much I'm doing a 2nd giveaway for my Facebook followers!! Do you "Like" me yet? adore this giveaway! you really always have the best giveaways. i follow you via GFC! Great giveaway! 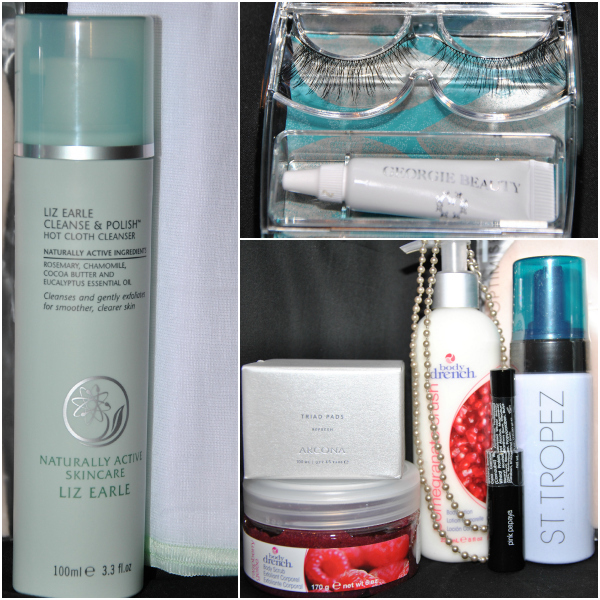 I really want to try Liz earle, this is SO generous of you! I follow with GFC, awesome giveaway! I follow you on Bloglovin, what a great giveaway! 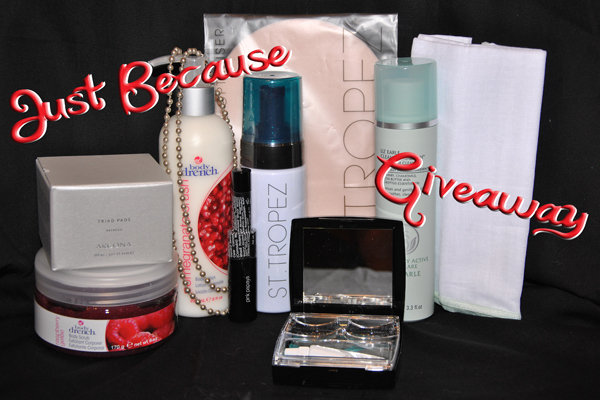 oh this is a great giveaway!i've been wanting to try liz earle and st. tropez forever! I follow via gfc. I've never heard of some of these brands. Great giveaway! I am a GFC follower under Elma. Hey! My name is Tanya, I follow you on twitter (@tanya_soyer), GFC - Tanya_Soyer and also bloglovin!